HGAR is the voice of real estate in Manhattan and the lower Hudson Valley. We love to talk about what we do and about the exciting things happening in real estate today in the Hudson Valley. For almost a century, our members have served homebuyers and sellers in Manhattan, Bronx, Westchester, Putnam, Rockland, and Orange Counties. If you're a member of the media, and would like to speak to any of our executives or volunteer leadership, please contact Mary Prenon at Mary.Prenon@HGAR.com or call (914) 681-0833. 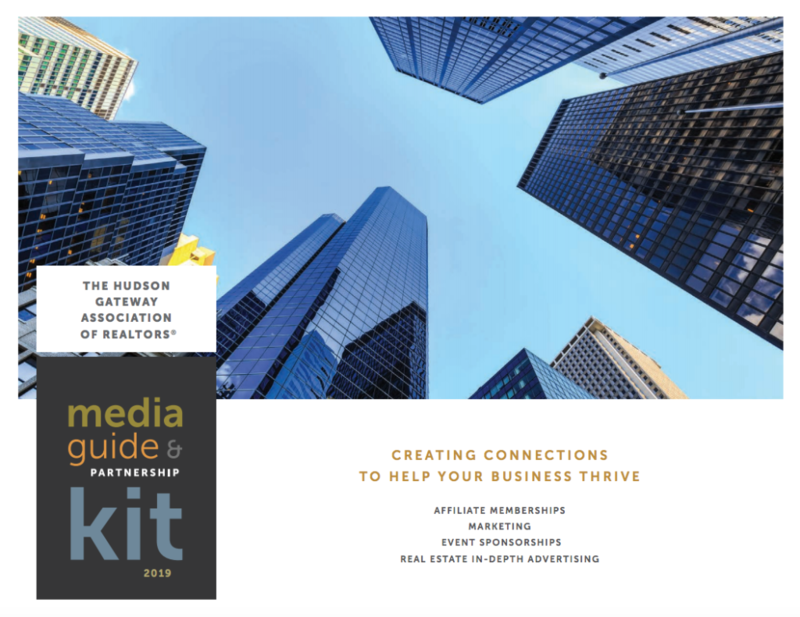 The Hudson Gateway Association of Realtors is the result of a series of mergers between some of the region's most prominent real estate associations. In 1916, HGAR was established as the Westchester County Board of Realtors, with all of the major agencies in the county as charter members. In 2011, the Westchester/Putnam Association of Realtors merged with the Rockland County Board of Realtors and the Orange County Association of Realtors. The resulting organization was christened as the Hudson Gateway Association of Realtors. Richard Haggerty was named CEO, and Ann Garti became chief operating officer, uniting the professional stewardship of the new organization by integrating the management teams from each association. In 2016, our Manhattan Chapter was created when the Manhattan Association of Realtors merged with HGAR, which increased our coverage area to include New York city. Today, HGAR is the second largest real estate association in the state of New York, and our more than 12,000+ REALTOR® members are bound by the National Association of Realtors' Code of Ethics. We serve more than 1,200+ real estate agencies in the Lower Hudson Valley, and have more than 140 affiliate members. We are honored to be affiliated with the Women’s Council of Realtors® (WCR) and the Young Professionals Network (YPN), and regularly hold joint events to enhance the professional networks of our members. We also operate a Commercial & Investment Division (CID) of the association, which serves our community of commercial REALTORS. Today, HGAR counts more than 12,000+ real estate agents as members of the association. All members of HGAR must be REALTORS and licensed real estate salespeople in the state of New York, and agents operate under the supervision of their brokers. All real estate agencies, or brokerages, are also members of the association. Our leadership is comprised of professional staff to handle the day-to-day operations of the association and multiple listing service, and volunteer leadership to set the strategic direction of the organization. Our leadership is drawn from working REALTORS and their brokers from within our service area. HGAR also operates the Multiple Listing Service, which services as the hub of all real estate activity in our service area. It is a secure place to enter and access real estate listing data, and provides our members with the ability to successfully run their businesses by gaining immediate access to accurate and up to the minute real estate listings throughout the Hudson Valley. Consumers can easily search for listings on this website, or find any member of our association using our Find a Realtor function. HGAR's commitment to furthering the success of our members is demonstrated in the association's School of Real Estate, which is one of the largest and most successful real estate education operations of its kind in New York. It offers in-person and online classes authored by our professional educators and trainers, and enables our member to cost-effectively continue their educations and maintain their licenses with credited courses. We also enable those who want to enter real estate to train at the HGAR School of Real Estate, so that they can earn their real estate salesperson license. You don't need to be a member of HGAR in order to take classes from us, or receive statewide credit for courses taken through our school. Although the School of Education is headquartered in White Plains, convenient day and evening classes are offered in our regional offices in West Nyack and Goshen as well. The Hudson Gateway Association of Realtors maintains a headquarters and two regional offices to serve our members. The School of Real Estate, MLS and professional staff are located in the White Plains headquarters office.